One of the settings in America On the Move is built around a ship’s engine room and its triple-expansion steam engine from the 1921 U.S. Lighthouse Service tender Oak. 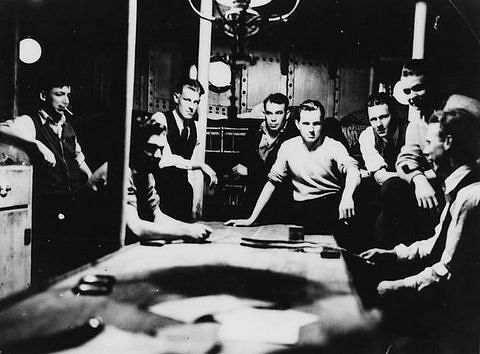 The exhibition interprets the engine room as part of a much larger story about the Port of New York and its critical role in international commerce and cultural exchange during the 1920s. 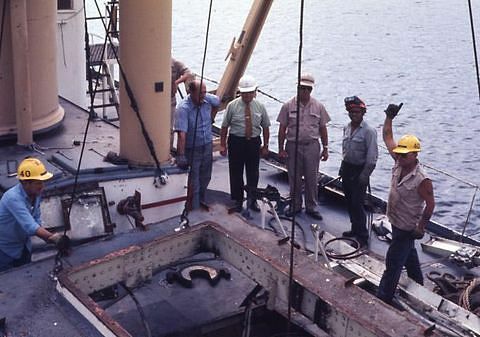 The Oakand its crew are part of this story, for they maintained the hundreds of aids to navigation in New York Harbor and kept the surrounding seaways marked for safe passage by the thousands of vessels serving America’s largest city. 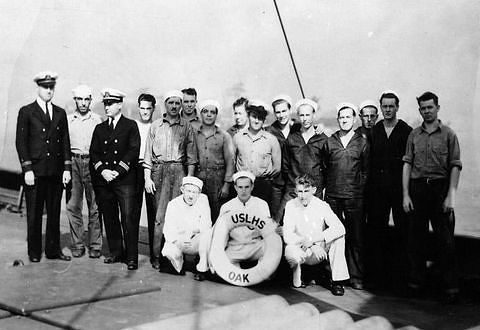 This tour turns the focus away from the big city and back to the little ship, the 160-foot buoy tender Oak, built for the USLHS (the forerunner of the U.S. Coast Guard) in 1921. 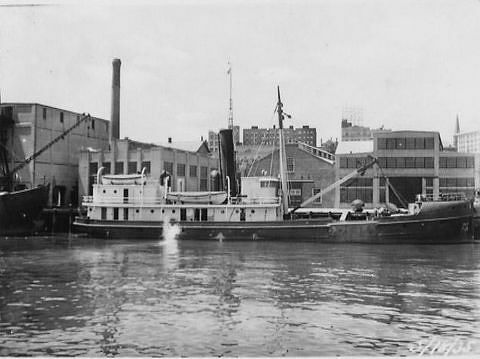 The sister ships Oak and Hawthorn were built by Consolidated Shipbuilding Corp. in Morris Heights, New York, at a cost of about $378,000 each. Everything about the buoy tender design means business: the deck forward is open and heavily built for carrying buoys and other aids to navigation. The low freeboard eases launching and retrieving operations, and the mast and boom amidships are made for heavy lifting. 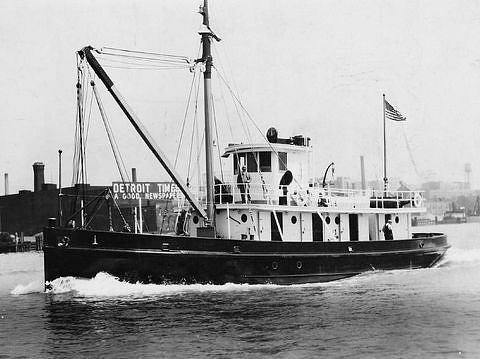 For more on buoy tenders see: Peterson, Douglas. 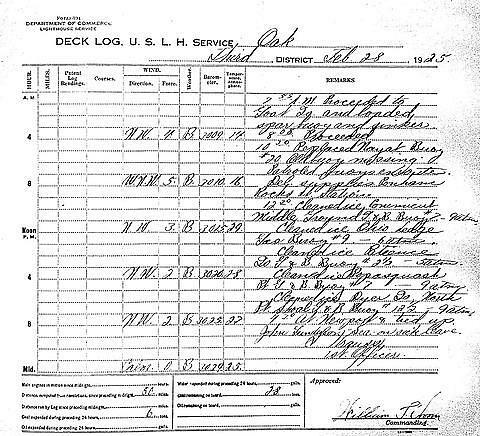 United States Lighthouse Service Tenders, 1840-1939,. Annapolis & Trappe, Maryland: Eastwind Publishing, 2000. It’s no accident that the Oak and Hawthorn were both named for plants. 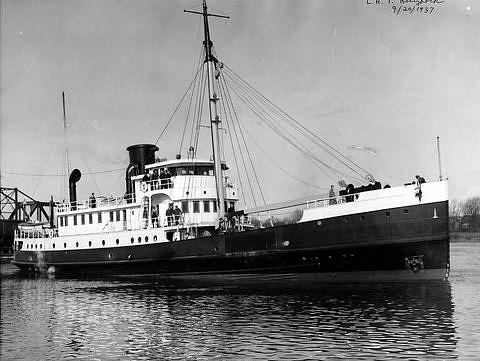 Other craft built for the U.S. Lighthouse Service in the 1920s included Primrose, Aster, and Poppy. The tradition of naming the service’s ships for shrubs, flowers, and trees dates to the Civil War, when the U.S. Navy purchased vessels from private sources and gave them new names, all for plants. 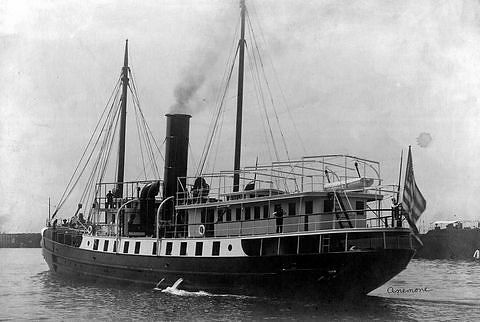 After the war, when the Lighthouse Service acquired four of these steam-powered vessels—Heliotrope, Cactus, Iris, and Geranium—the names were kept and the tradition, still followed by the U.S. Coast Guard, was launched. 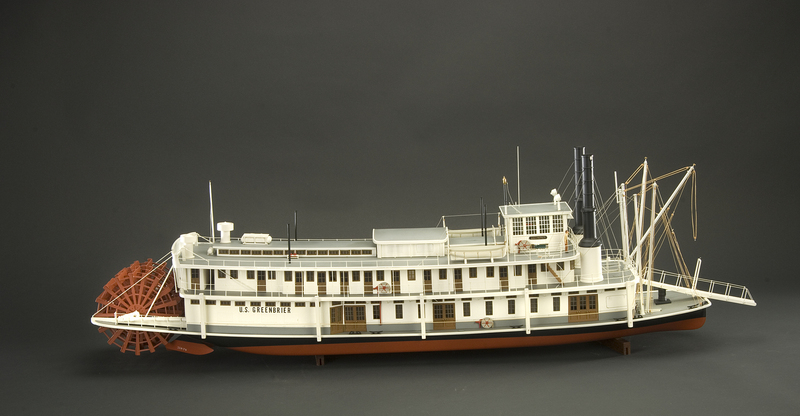 The Smithsonian’s collection of ship models includes two rigged models of lighthouse tenders, both employed by the U.S. Lighthouse Service to tend lighthouses and navigational markers on the nation’s inland waterways. 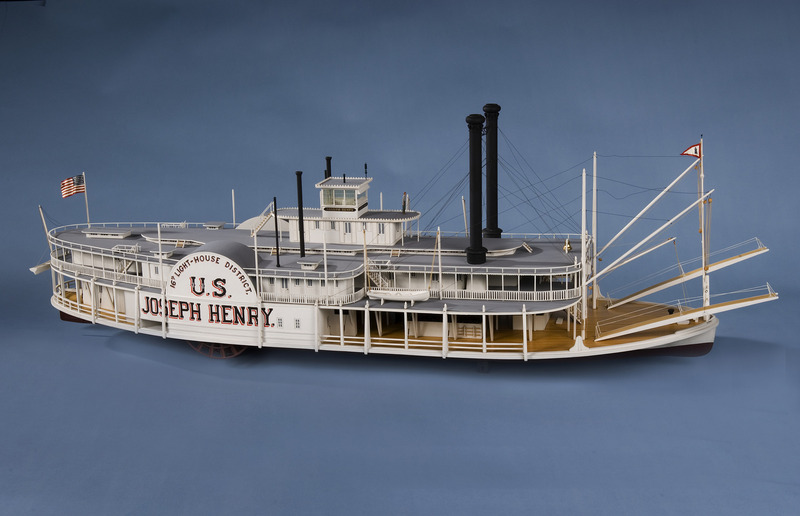 Both represent typical designs of shallow-draft river steamboats: Joseph Henry, built in 1880, was a sidewheel steamer and Greenbrier, built in 1924, had two sternwheels. 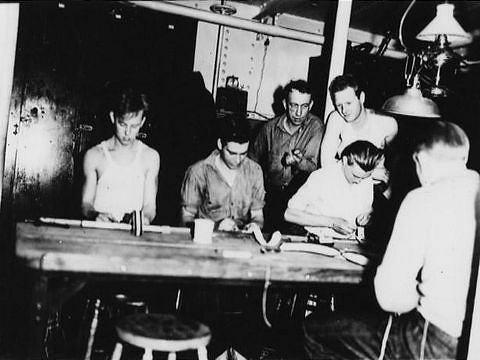 The Oak’s officers and crew were responsible for setting, inspecting, repairing, and replacing buoys that marked channels and shoals. 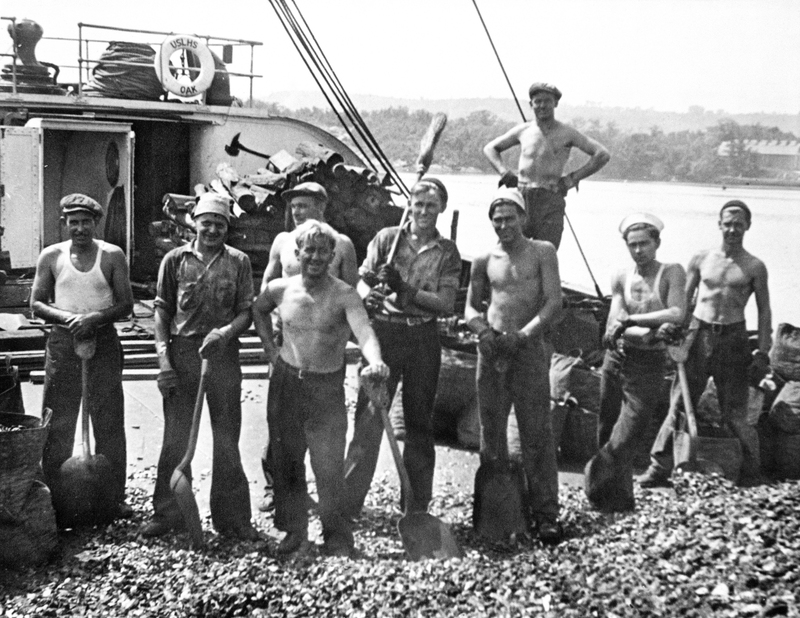 During the Oak’s years of service it was customary for tenders to relieve all buoys at least once a year for cleaning and repair. Occasionally buoys drifted off station, and it was up to the tenders to return them to the precise locations indicated on navigation charts. 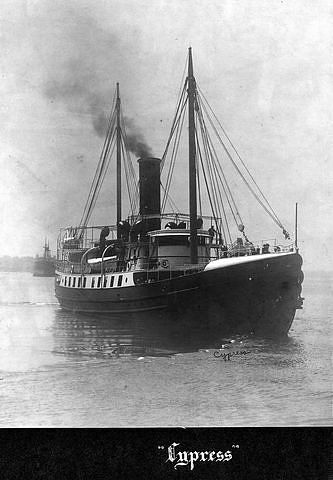 Buoy tenders were also tasked with delivering coal, water, mail, and supplies to lighthouses and lightships. In 1934, when the Oak’s coal-fired boiler was replaced with an oil-burning system, some of the crew’s coaling duties were eliminated. Stationed at Staten Island, New York, the Oak’s territory extended from Long Island Sound through New York Harbor and up the Hudson River as far as Albany. 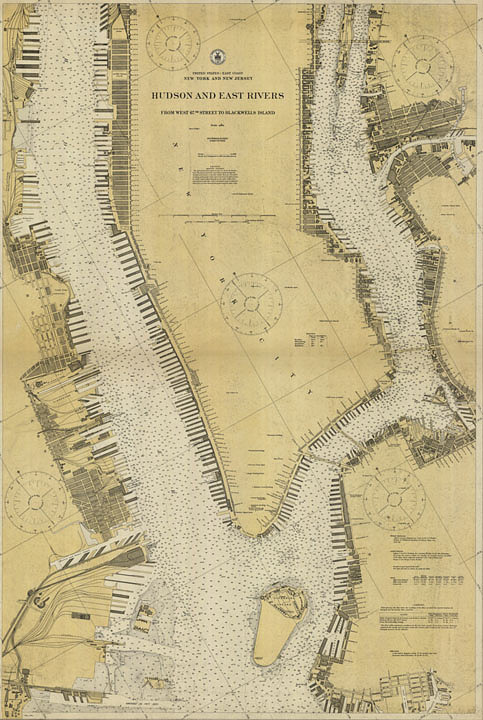 In 1931, there were 442 lights, buoys, and daymarkers for the Oak to tend in the New York Bay and harbor channels alone. 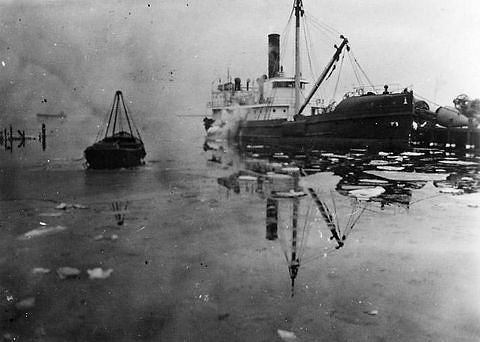 The Lighthouse Service considered New York’s Ambrose Channel so important that the gas buoys marking it were inspected three times a week. 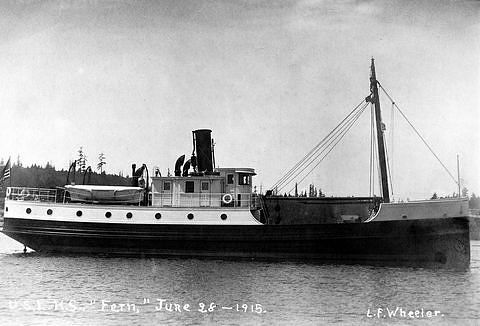 Occasionally, buoy tender crews lent assistance to vessels in distress, as on August 31, 1925, when they responded to a distress signal from a small boat that had broken down in the fog. (Transcript of the letter follows). I want to take this opportunity to let you know how much I appreciate the most efficient service rendered to me by Captain Broom, Commanding Officer, the officers and crew, of the U.S.S. 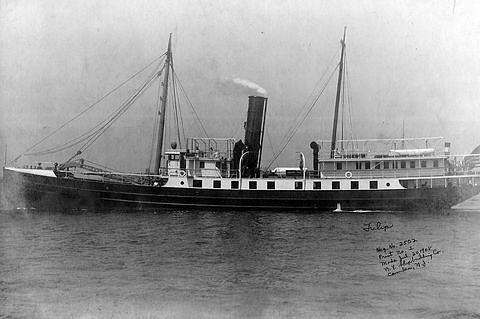 Oak, of the U.S. Lightship Service, on August 31st, 1925, in having answered my distress signal, towing us to Indian Head, when my small raised deck cruiser, Wyola II recently broke down in the fog in Haverstraw Bay when I was returning to New York City with my wife and boy. If it had not been for this most admirable service upon their part, other boats having failed to respond to the distress signal, we might have come to some harm in the bay, especially as quite a sea later came up. 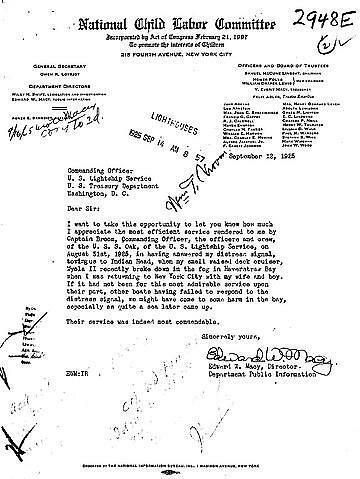 Their service was indeed most commendable. 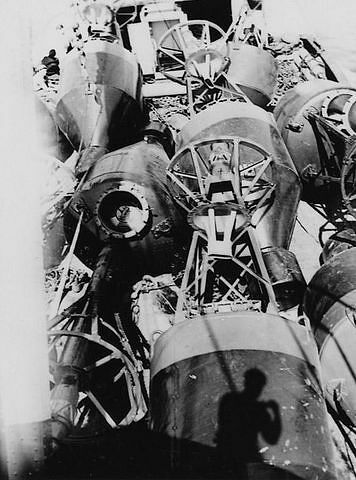 More than meets the eye: this bell buoy lying on its side ashore towers over the two men in the foreground. The entire buoy, from the tip of its lantern to the bottom of its counterweight, probably measures about 35 feet. When placed in the water, only the tower and part of the hull are visible; the rest of the hull, which houses the fuel tanks and includes a counterweight, is underwater. Before setting a buoy in water, the crew attaches a heavy mooring chain to a concrete sinker and the hull of the buoy. Crowded deck: the buoy deck is designed for carrying buoys, sinkers, mooring chains, and other heavy equipment. This lighted bell buoy is of the type widely used in the 20th century to mark shoals in coastal waters along the East Coast of the United States. While the bell rang naturally with the motion of the waves, the fuel for the light was delivered by buoy tenders. Crew inspected and replaced the acetylene gas tanks set inside the buoy’s large pockets. In later years, they monitored and replaced the batteries—also housed in the pockets—that powered the light. 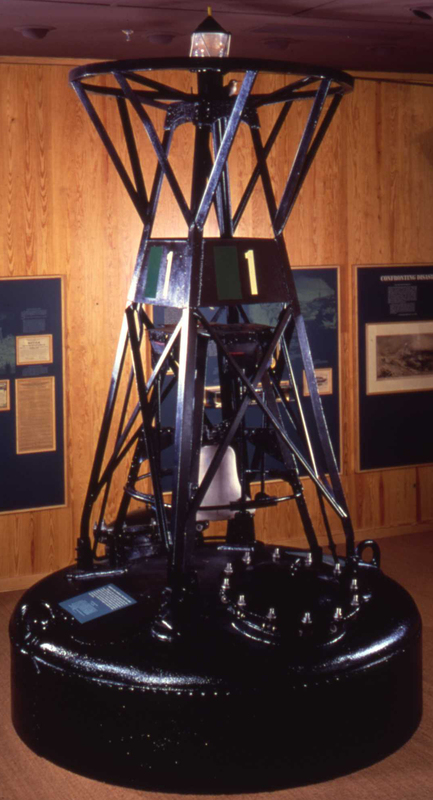 The bell buoy is shown on display in the Hall of American Maritime Enterprise, about 1980. 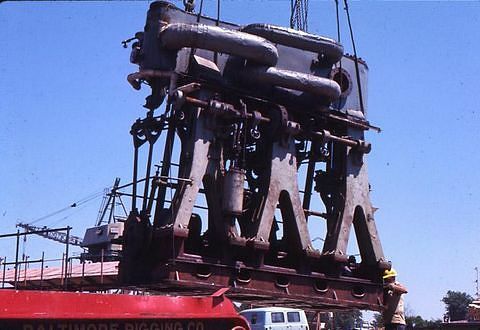 The portion of the buoy that is normally underwater, including a counterweight and hardware for holding the mooring chain, was cut off when the Museum acquired the object in 1978. The Oak's 750-horsepower, triple-expansion steam engine was built by John W. Sullivan in New York in 1921. Its boiler, built in Detroit by John Brennan, was originally coal-fired, but was converted to an oil-burning system in 1934. 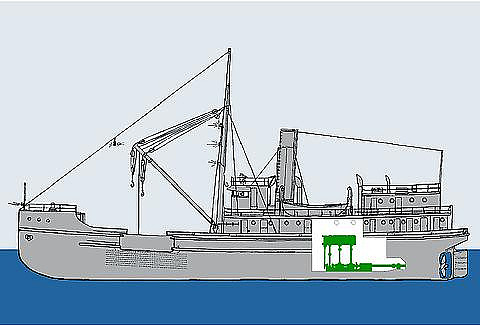 This profile view of the ship shows the location of the engine room and the orientation of the engine. 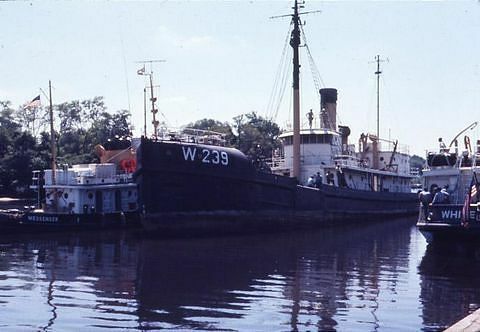 After more than 40 years of service, the Oak was decommissioned in 1964 and taken to the U.S. Coast Guard’s facility at Curtis Bay, Maryland. 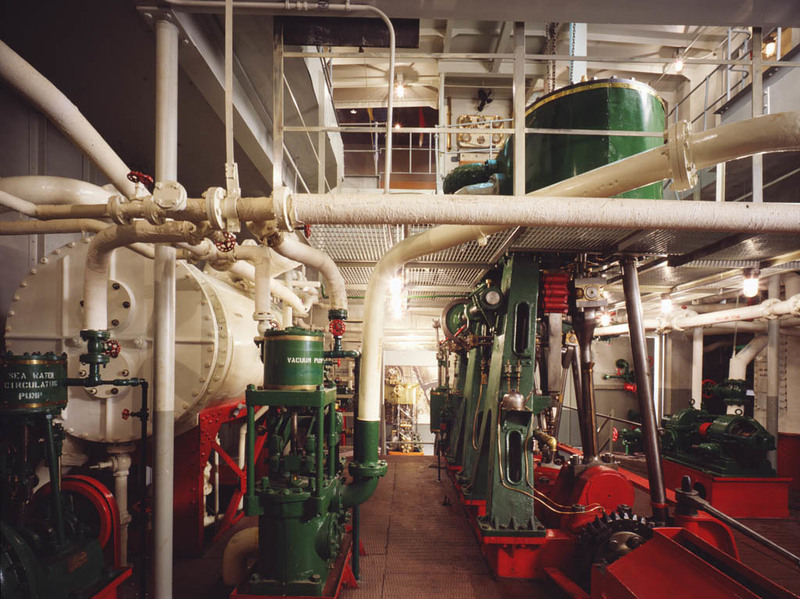 In 1971 the original engine and auxiliaries were removed for the Smithsonian Institution’s transportation collections and in 1978 the engine room was first displayed to the public in the Hall of American Maritime Enterprise. The Oak at the U.S. Coast Guard facility, Curtis Bay, Baltimore, Maryland, 1971. 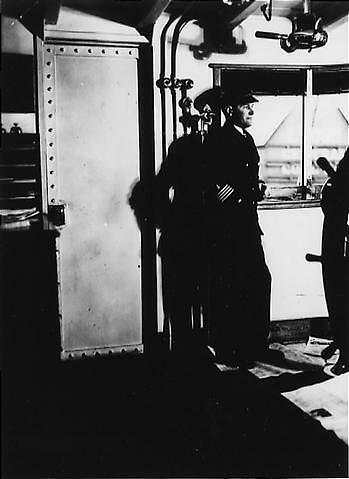 The Smithsonian’s John Stine in the Oak’s engine room prior to its removal from the ship, 1971. The Oak’s engine in situ. 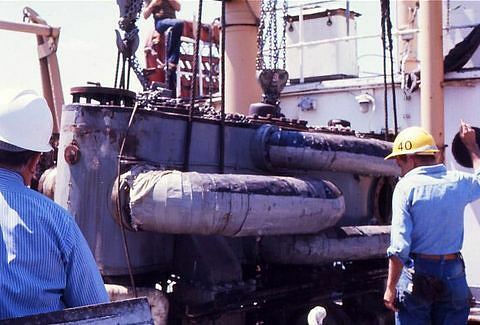 An opening was cut in the ship’s deck to remove the engine, 1971. 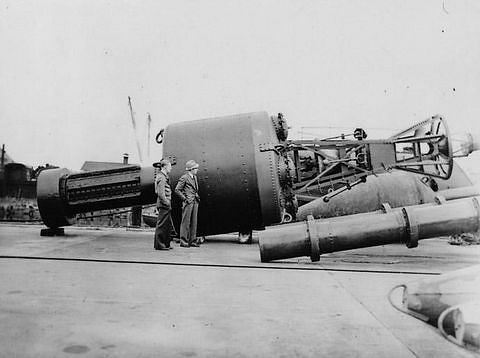 The engine is lifted out of the hull. 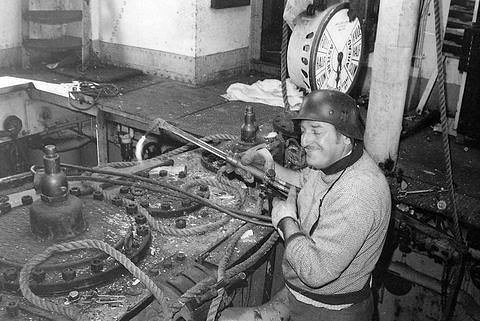 In addition to the engine, the Smithsonian collected the pumps, condenser, steam pipes, steam whistle, engine room telegraph, speaking tubes, tools, and architectural fabric from the ship. The engine room setting in America on the Move includes these artifacts, as well as a sound track of a triple-expansion steam engine under way, layered with the sounds of fog horns, steam whistles, and bell buoys evoking harbor traffic in 1920s New York.